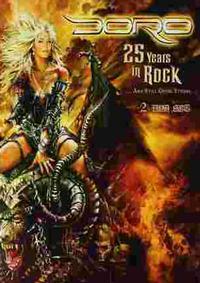 If you think Doro’s 20 year DVD was great, then her 25 Years in Rock DVD must be recognized as phenomenal. 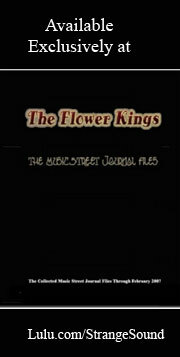 This DVD has both documentary and the concert. You get a great flashback of all her 25 years at the beginning of the DVD, which really does portray her extensive career. The concert portion definitely captures the feeling of a live show. Doro has several featured artists either singing duet with her or playing with the band. One worth mentioning is Bobby Blitz from Overkill, as Doro sings “Always Live to Win” with him. It was a real treat to see two favorites performing together. Another “must mention” would be Klaus Meine from The Scorpions. This combo sounded fantastic as they both have heavy German accents that blend beautifully together. They did two numbers together “Big City Nights” and “Rock You Like a Hurricane.” Then there was a very unique duet with Warrel Dane from Nevermore. They sang together on “True as Steel.” Warrel was in his usual trippy form and added a nice touch to that classic song.